I’m sure you’ve already found Focus but, if not, you can display all your albums in the Album Browser and click on the Focus button at the top left of the screen. There you can select Format, then MP3 and AAC. That way, you can see all your lossy albums. You can then select each one, click the 3 dots icon and then Go to Tidal Version, if available. You can then Add to Library, the Tidal version. Roon will always show the better quality album and hide the lossy duplicate. I love my speakers! Hope you do too! I have found Focus but haven’t explored it fully - I have only used it to show my FLAC files that I just ripped so they are all in a nice list so I can easily check them out opposed to hunting down artists / albums by name. I’m going to try what you suggested! That’s sounds like a really quick way to sub TIDAL versions in for lossy versions. I love my speakers too… no words! classe ca-401 and ssp-25. I’m just transitioning from CD player to computer system. I’m still learning about what works best and how things sound. I picked up a bluesound Node 2 as kinda of an experiment to get me started with Roon and lossless sources while I learn and listening - (Node 2 -> digital signal -> ssp). I’m really enjoying Roon, you guys did / doing a great job. I’m actually not a Roon employee, just a volunteer moderator and knowledge base editor. However, I do know the Roon guys appreciate the fact you’re enjoying the software. A post was merged into an existing topic: Can one bulk delete Tidal collections? There are still album cannot be seen if using Roon, (LaLa Hsu). I tried to add album in Tidal but still not shown in Roon. Can that be fixed pls? Can you give me a link to the album on the TIDAL website? Also, can you let us know where you’re located Brian? I use Tidal from my dCS app it have but cannot find in Roon. Thank you. 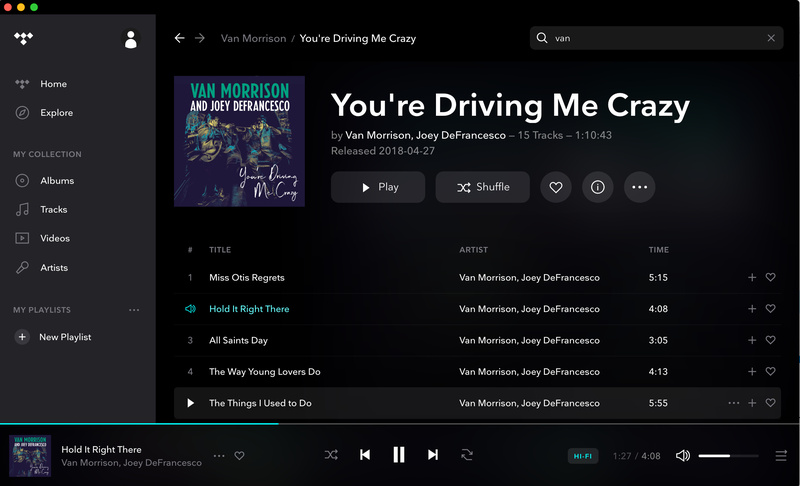 I’m having trouble finding some albums in Roon that I can see in the Tidal app, and the Tidal website. I’ve searched for them, and even favorited them within Tidal, but still no luck. James Brown, in particular, seems to be conspicuously absent. 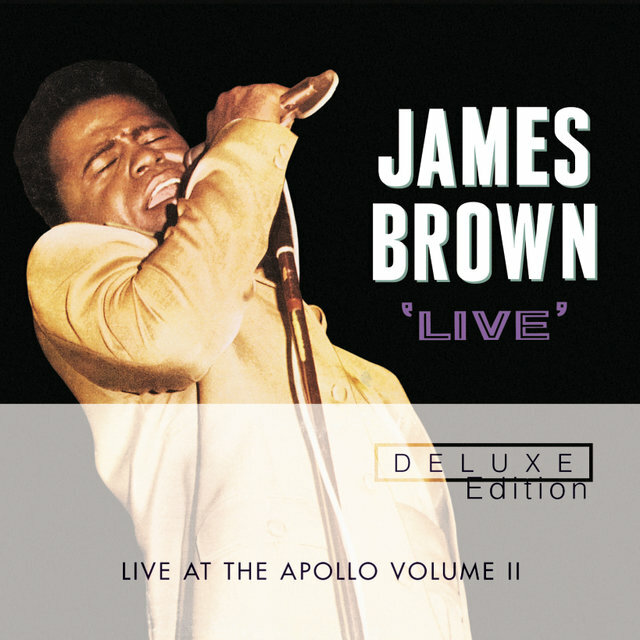 TIDAL: Listen to Live At The Apollo, Volume II (Deluxe Edition) on TIDAL. TIDAL is the first music service with High Fidelity sound quality, High Quality music videos and Curated Editorial, expertly crafted by music journalists. here the same, give Edward Elgar a try and Sir Edward Elgar, very few albums available on Roon compared to Tidal. Roon didn’t show a Portrait foto of Sir Edgar Elgar!? Where did I lost the track? Is it possible to use Focus to select a diff, e.g., only show the lossy albums that do not have a local lossless version available? I see this topic split and that thread was closed. But I’m still seeing this issue. I follow an external forum and saw a bunch of recommendations, many of which are listed as on Tidal. I subscribed to the trial, but am often NOT finding the album at all, or it is incomplete. After discussions with the OP, I downloaded the desktop version of Tidal, and lo! there is the full album. It seems like this should be a major issue, but I see it has been around since IIRC, 2015. Really? Can @support give an update / answer? It seems to invalidate the value of a Tidal sub: I don’t want multiple music systems, I want Roon! Can you explain exactly what steps you took before that first screenshot? How did you navigate to that page? 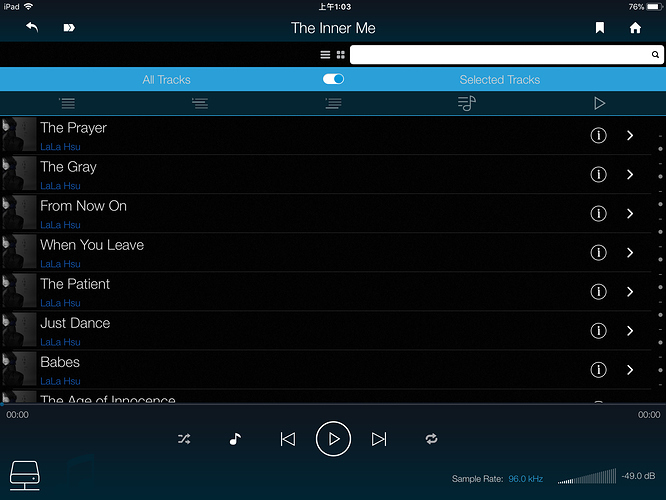 Did you add a single track in TIDAL’s app, or in Roon? Any edits done? Edit: Actually, I think maybe you’re just looking at the single, as opposed to the album? NB, no sign of the album I’m looking for! If I search for ‘Van Morrison’ I get a long list, but not the album I’m looking for. If I search for ‘Joey Defracesco’ and view all, I DID find the whole album. I’m not sure what I did differently, but why can’t I simply serach for the album name and get the whole album? I have found a couple of nuances that seem (to me at least) counter-intuitive. In the intial saerch screen, I had used the ‘view all’ button, not realizing that there are SEPARATE ‘view all’ buttons for library and for TIDAL. Note the titles that appear first; they are subsets of the serach term. I have to scroll the the 24th album before I get a title starting with You’re"!!! And lo! Title number THIRTYSEVEN is the one that I want and actually about the fourth with an exact match. I hope you can see why I’m finding this irritating! Sorry for the slow response here @Graham_Bird. We have some work in progress that’s designed for cases like this, to ensure we return the most relevant search results. Will be a little while before it goes live, but this is something we’re actively working to improve. 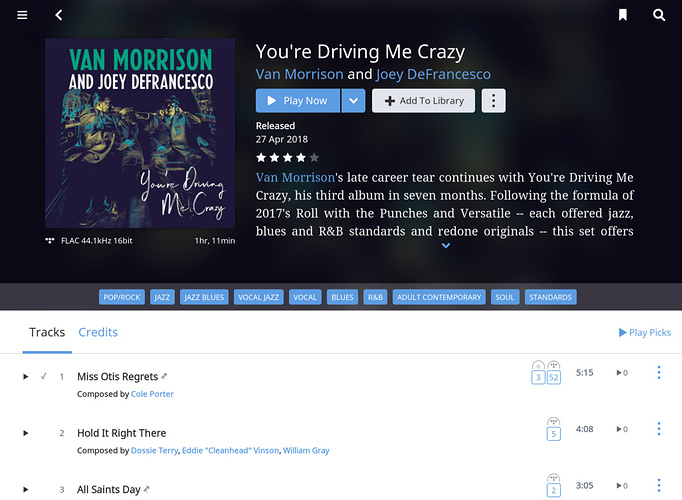 In the meantime, in cases like this, you’re probably going to do better searching for “Van Morrison” and finding the album on his page rather than searching for something like “You’re Driving Me Crazy” which is going to match hundreds of albums. Again that’s just a workaround – the changes underway should help us return significantly more relevant results. Thanks for the feedback @Graham_Bird! Still no improvement in regard of full TIDAL albums ? I used 1-year licenses in the last years, but I was not satisfied with the TIDAL streaming content over ROON, so didn´t bought a further license in the last years. Now I am testing ROON again and my impression is, that this problem isn’t solved. I can find albums easy in the TIDAL app, but not in ROON Tidal. Could you confirm this issue ? Is it still a problem and why is there no improvement after years ROON is available ? Nothings really changed. There is a whole thread about improving the search functionality which Roons Execs have commented on saying they are working on this and they know the current search is lacking. Not what you want to hear but that’s where it’s still at.